Paris land and farms offer some of Central Kentucky's absolute best land at great prices, making it a prime destination for building your dream horse farm. Many Paris farms for sale come with spacious, pre-existing homes, allowing owners to get settled in the house, while the horse farm amenities are being designed and constructed. Many others come equipped with fully finished horse amenities. For those interested in a finer style of living, an extraordinary collection of luxury homes can also be found on Paris farms. The town of Paris is home to more than 10,000 residents and is part of the major thoroughbred breeding industry located in Bourbon County. The region is known for being some of the most beautiful real estate east of the Mississippi. Learn more about Paris land and farms below! Situated northwest of North Middletown and northeast of Lexington, Paris, KY farms for sale are spacious, fertile, and extremely well maintained. From outstanding grain and livestock opportunities to horse breeding options, these properties are unlike anything you've ever seen. 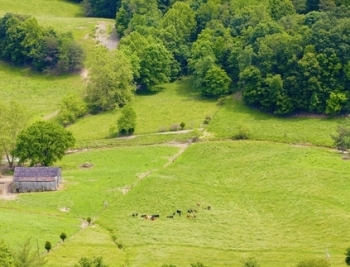 Additionally, many of the farms have stunning homes and barns already built, promising an easy and seamless transition. Whether you're a first-time farm buyer or a seasoned veteran, you'll love the farms for sale in Paris. 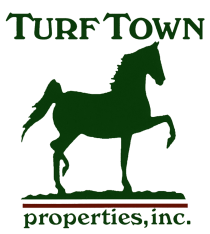 On the high end of the market, find multi-million dollar mansions that are a horse lovers dream come true. Elegant antebellum houses stand tall on acres of land beside comprehensive horse facilities. Enjoy indoor riding rings, expansive fenced pastures, barns with half a dozen stalls, and more! Many of the luxury houses in this market are nothing short of beautiful. White pillars on the front porch lend an elegant effect to these houses. Floor plans unfold over thousands of square feet, and elaborate wrought iron gates greet visitors at the end of your driveway. Paris land is preserved by Bourbon County's strict zoning rules, which ensures the region remains suburban. Each parcel of land is required to be at least 5 acres large with a minimum of 250 feet road frontage. Land lots can't be divided more than once a year and only three divisions are allowed per five year period. Unlike other counties in Central Kentucky, no known exceptions have been made to the rules, resulting in a region rich with minimal development and affordable, high quality land. Paris is also home to Our Mims Retirement Haven, a refuge for retired broodmares. Named after the famous racing thoroughbred, the sanctuary ensures that mares are well cared for after their careers as racehorses and broodmares are over. Paris is also the final resting place of the famous racehorse, Secretariat. Since his death, every month one dozen roses appear on his grave from a mysterious admirer. The historical assistance of the French was quite prominent in this part of Central Kentucky, and had a direct influence on the names of communities in the area. Bourbon County was named after the Bourbon family who previously ruled France. In turn, the same name was given to the county's corn whiskey, now as the world-famous bourbon whiskey. Paris was initially called Hopewell, but was renamed in 1790 out of respect to the French people for their help during the American Revolution. The town of Paris has plenty to offer its residents. The small community is located at the confluence of two rivers: Stoner Creek and South Fork Licking River which ensures that those who love to spend a quiet afternoon fishing from the shore with their feet dangling in the crisp water will have a prime spot to enjoy.